Fear is an unpleasant emotion caused by the belief that someone or something is dangerous, likely to cause pain, or a threat. To fear is to be afraid of someone or something as likely to be dangerous, painful, or threatening. If you or someone you love has been diagnosed with Multiple Sclerosis, fear has most likely played a very large role in your life. It begins with the unexplained symptoms, and the fear of why you are experiencing them. What is causing this? Fear of a diagnosis, before and after it is made. Living in fear of an MS diagnosis, but relief in having an answer to what is causing you to feel so bad. Fear of medications and their side effects and less than great effective rates. What if you don't take the medication? Fear of not doing what you're expected to do to care for yourself. Fear of what this means for you. Will you still be able to do the things you love? Will you be able to walk? Will you need a cane, walker or even a wheelchair soon? What if you lose your vision? Why can't you think clearly? What is with all of this numbness and tingling? You have plans -- it may be a simple outing with friends, a trip for groceries, or a vacation. You often fear being able to do what you plan. Will MS get in the way? Will you have to cancel or ask for help? Will you be able to enjoy the activities on our trip? Fear of what others will think... You may look fine. You may have been hiding your symptoms, so others may not understand this diagnosis and what it means. Really? You have MS? What is wrong? Why can't you join us? Fear others won't include you. Fear of things getting worse. Depending on your MS symptoms, you may be like me and worry about not being able to walk if you have leg weakness or tremors. What if this gets worse? As you experience a relapse or new symptom, fear often sets in. You may ask yourself, "Is this my MS? Is it something else?" Worry and wonder are often the case. It is very easy to see a negative future. Fear can become overwhelming, even debilitating. 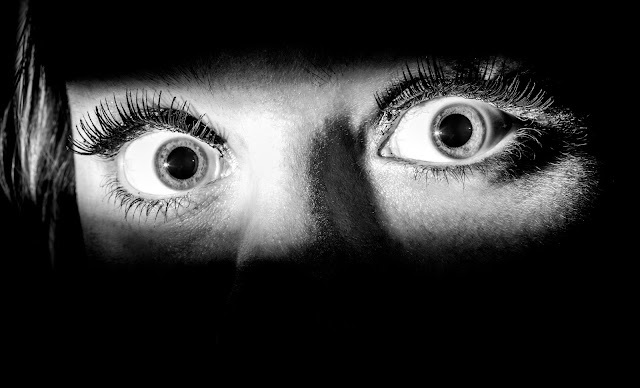 Fear is often a part of MS.
All of this is very true for many who live everyday with MS, as it was for me for quite a while. What I know now is that I don't have to live in fear. I have found ways to "take control" of my story around Multiple Sclerosis. Removing gluten, improving my stress-management, and increasing vitamin D3 levels are just a few of the ways I've improved my life with MS. Changing my mindset, however, has been the most powerful tool in my MS medical bag. The story I tell myself and others about my MS is so different. I used to fear not being able to walk and needing a chair to get around. After a big flare last December that impacted my walking, I realized that the story I told myself and others was not helpful. It was fear-driven. Worry set in. What was I going to do? The big impact lasted a couple of weeks, but I struggled with random weakness, pain, and fatigue for a few months. I had lost trust in my legs. I even found myself saying that exact thing -- "I don't trust my legs to go for a walk. I worry about being able to get back to the car after shopping." The worry was great. The story was strong. According to Dana Wilde, author of Train Your Brain, "The outside world always matches the inside world. The Reticular Activating System in the brain always finds a match in the outside world to whatever you are chronically thinking and talking about. Always." With quite a bit of work on my mindset, I've shifted my story. I don't spend much time worrying about my legs right now. I've regained strength and the tremors have stopped. I know that as my thoughts have shifted, the way I live with MS has shifted. I no longer live in fear of what may happen with Multiple Sclerosis. I believe that I'm doing the best I can for my body at this time to help me feel my best and have the best chance of recovering from any future relapses. While needing a cane or wheelchair may still be the case someday, I see it in a completely different light now. I've written a new story. If the time comes that I'm no longer able to get around on my own, I will be grateful for the help. I won't be stuck in my home, unable to do the things I want. I can still be mobile and active.